Microflite flies you directly to Sandown Racecourse for this iconic endurance event. Skip the boring traffic and race straight to the track. Exclusive flights only. No shuttle options available. 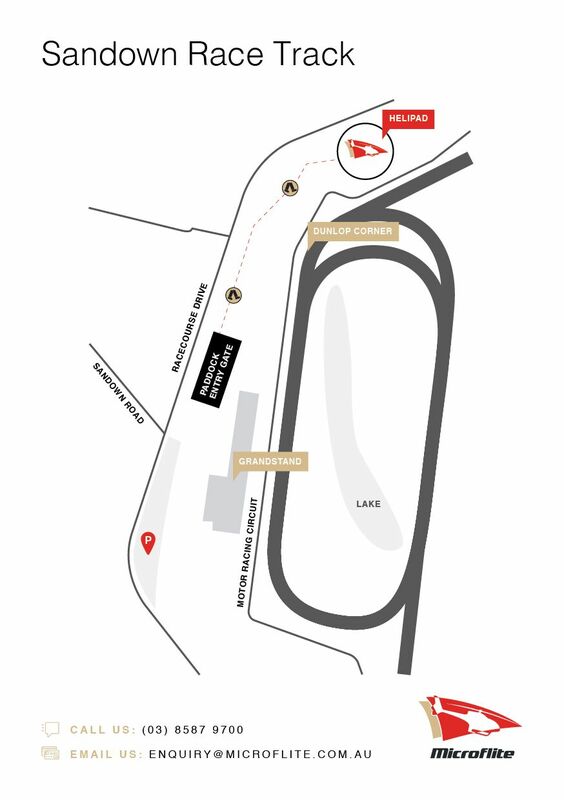 Multiple departure times to and from the racecourse available from Melbourne Heliport, Melbourne (Tullamarine) Airport and Moorabbin Heliport. How do I recognise Microflite staff to help me? 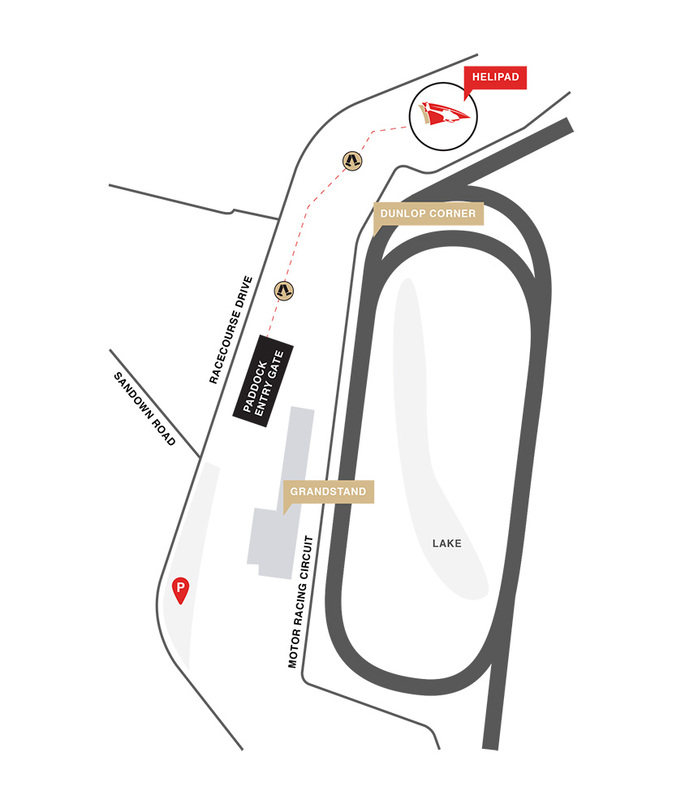 How do I get to the entry gate at Sandown from the helipad? There is a short walk of approximately 10 minutes from the helipad to the entry gate. Are there bathroom facilities at the helipad at Sandown? There are no bathroom facilities at the Sandown helipad. Please make use of bathroom facilities elsewhere at the event before making your way to the helipad.